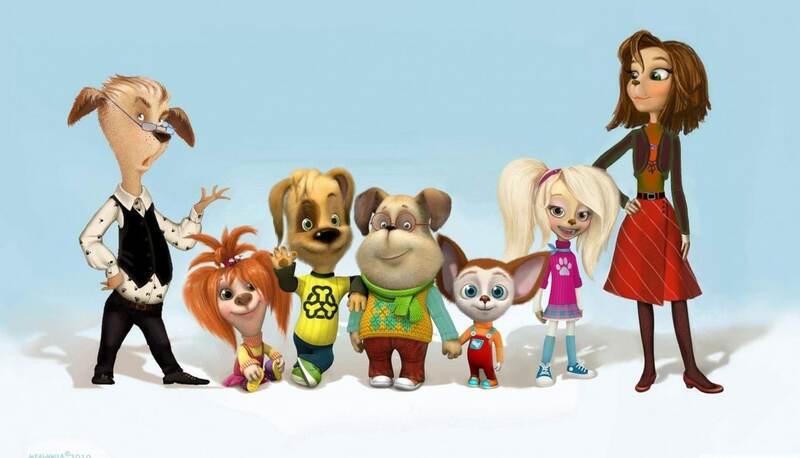 The Barboskins (Барбоскины) is a contemporary Russian cartoon series. It began in 2011, and is already on its 10th season. It is created by Melnitsa Studios, the same people behind Luntik and the Ivan Tsarevich film series. There are almost 200 episodes, each about five minutes. While the show is apparently meant to be educational, at least one review has criticized it for its “hooliganism”—apparently residing in the fact that there are allusions to a singer named Zhanna Kiska (a play on Zhanna Friske, who was a member of Russian girl group Blestyashchie) and an actor named Brad Pitbull. The characters also, shockingly, use slang in their speech.